But you know what’s even more satisfying than a good old all-American burger? If you’re in the mood to indulge in some greasy goodness, here’s how you can get a free burger from Shake Shack. 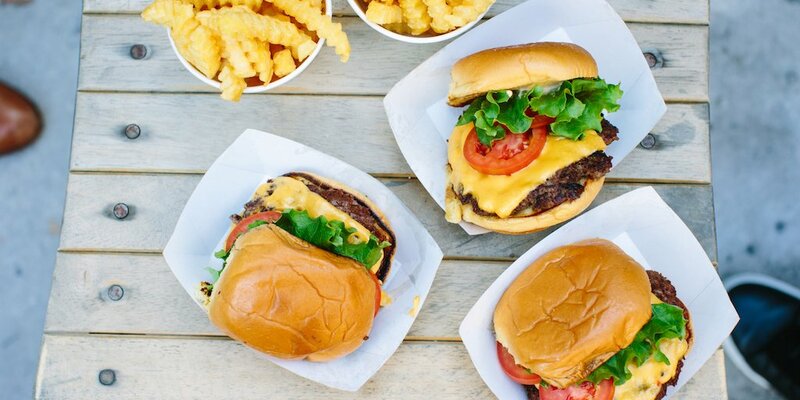 Shake Shack has released its new mobile ordering app nationwide for iOS, and to celebrate, the fast-food restaurant is giving away single ShackBurgers for free. The app is genius (or dangerous? ), too. You can now order your perfectly prepared, cooked-to-order patty straight from your phone and choose when to pick it up. Talk about convenient! To grab this deal, download the new Shack App, create an account, and use the promotional code “shackappy” at checkout. If you’re not in the mood for a burger, you can also choose from the hot dog and breakfast categories from the app and still receive a discount worth a single ShackBurger (up to $5.55). You have from now until Tuesday, Feb. 28 to join in on the celebration. Check here to find a participating location near you and get to ordering your free food! Your Turn: What’s your favorite burger? Let us know in the Facebook comments! Kelly Smith is a junior writer and engagement specialist at The Penny Hoarder and a senior at The University of Tampa. She loves Shake Shack.